Sacred sales happen effortlessly when you take your potential clients on a strategic journey to experience a break-through from where he/she is now to where he/she could be. You can facilitate this transformation online, on the phone or in person. Intention – Align yourself with the qualities of love, forgiveness and gratitude and to be of service to this person’s wellbeing, whatever the outcome. Turning Point – Once you have answered all their questions and you have established a connection, at this point they will ask you about what you offer. Details – What are the details of your offer? Explain your offer in 3 sentences, including how it’s delivered, the outcome and the price. Agreement – What are the next steps? Explain what happens now if they buy or don’t buy. Once you have a structure to follow, and you know what points to cover at each step, the rest is about making a heart-felt connection with your potential client, based on your understanding of her biggest problem and her desired outcome. In fact, this connection is paramount, so your sales process won’t work without it. To maintain this connection throughout, really listen to what he/she is saying, and what emotion or belief is behind his/her words. This approach allows you to develop a meaningful connection, even though you may have just met. What you believe to be true about love, power and money has a significant impact on the results you achieve in your business – your ability to attract customers, make money and expand your reach. 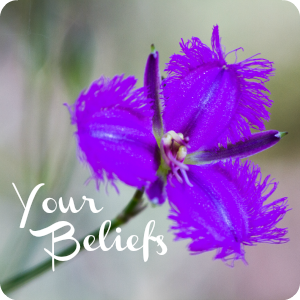 Since our beliefs are often buried in our subconscious mind and in our bodies, the initial challenge is to actually identify what your limiting beliefs are, the ones that quietly derail your progress behind the scenes. As you continue to expose the beliefs that are limiting your growth, you return to the truth of who you are in this moment. Rather than believing things like ‘I have to create want because no-one else will’, you start be-ing, which you can affirm with ‘I am’ statements like ‘I am the creator of my money flow’. Try it, feel the difference and see how your business changes as a result. Listen to the Week 9 Audio [14:15]. The key themes for this week are Sales, Beliefs, Sovereignty and Abundance. 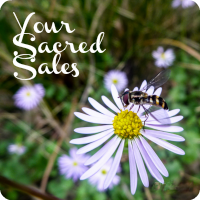 Start practising your sacred sales conversation with your partner for this module.